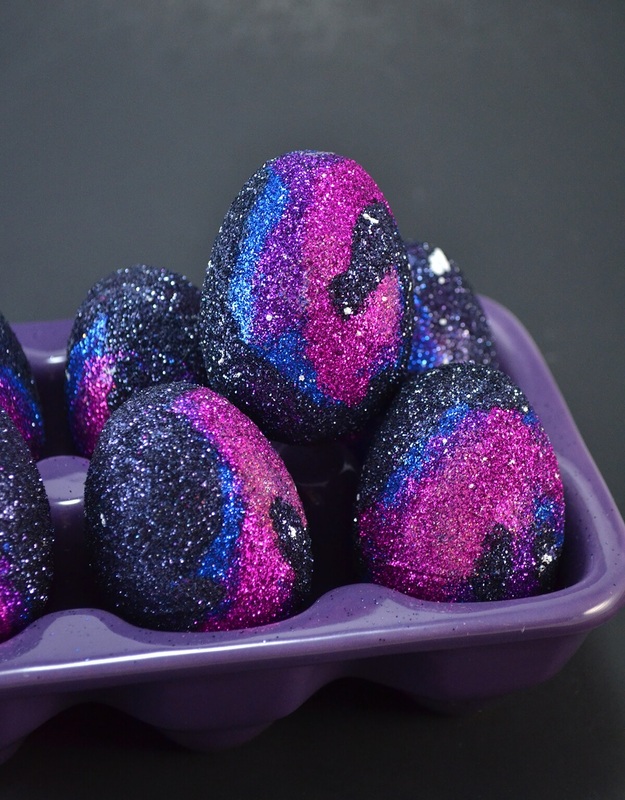 This year I've decided to see if I can do my eggs all over again, but this time with glitter, glorious glitter! I'm pretty excited because I feel like they turned out really well. 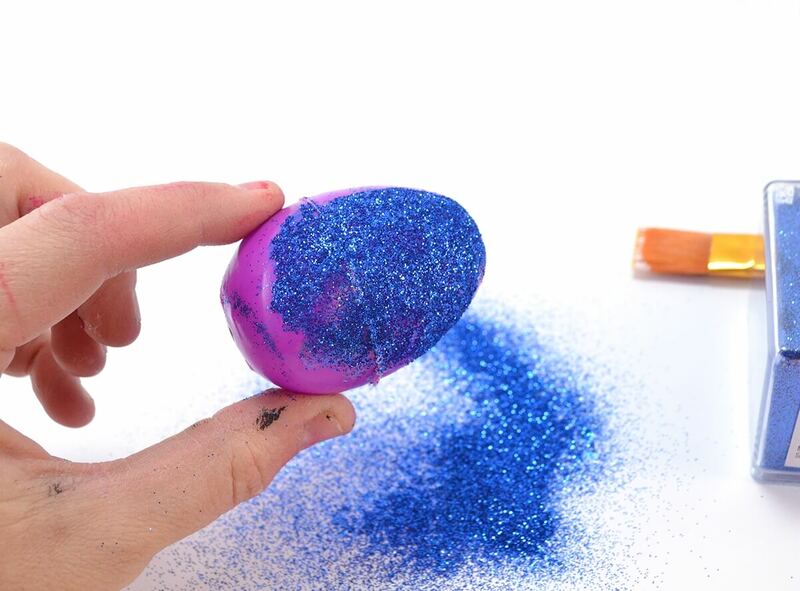 It took multiple attempts and lots of failures, not to mention wasted glitter, but I finally got it just right! 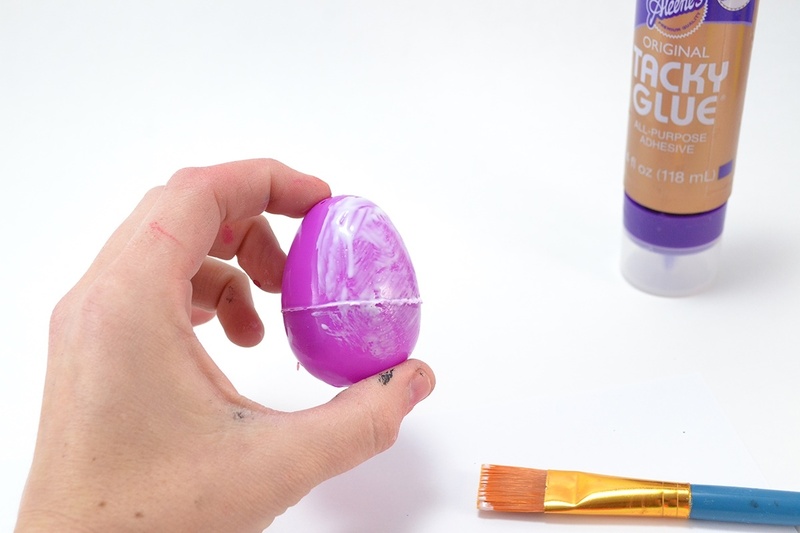 First things first, I prefer to craft with plastic dyeable eggs you can purchase at Walmart around Easter time. Since I've been bitten by the Easter egg bug a bit early I had to do with what I could find available online. 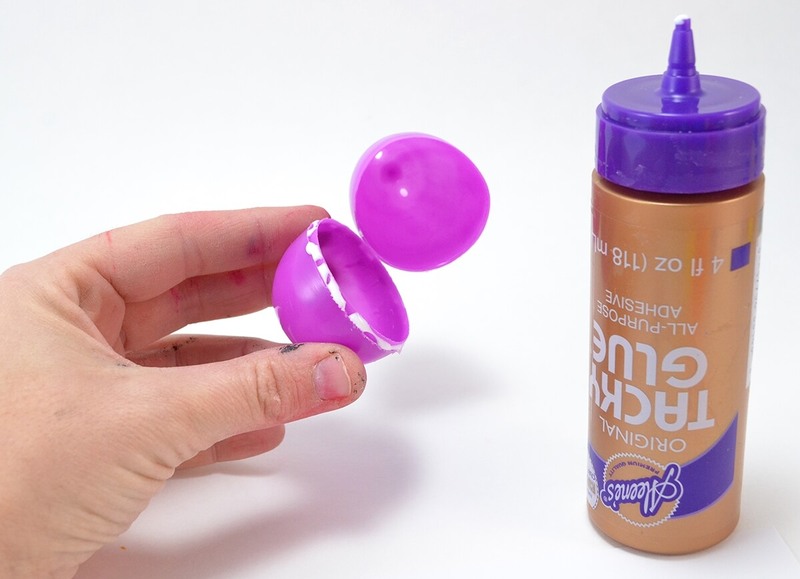 If these eggs like we grew up with, plastic that snap apart to be filled with goodies, are all you can find you'll need to start by gluing them shut. 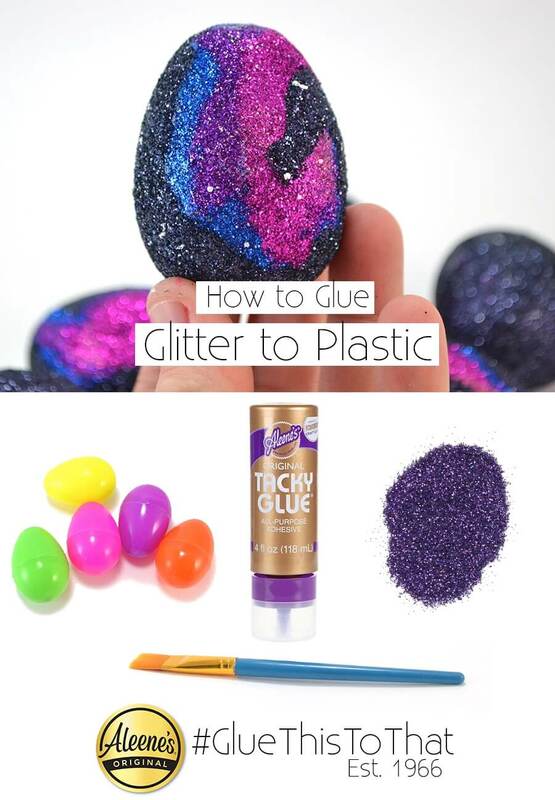 You can leave them to open and close but no guarantees that the glitter will survive many squeezes the plastic will receive to pop them open. blue, purple, pink and lighter pink. The lighter pink is optional. 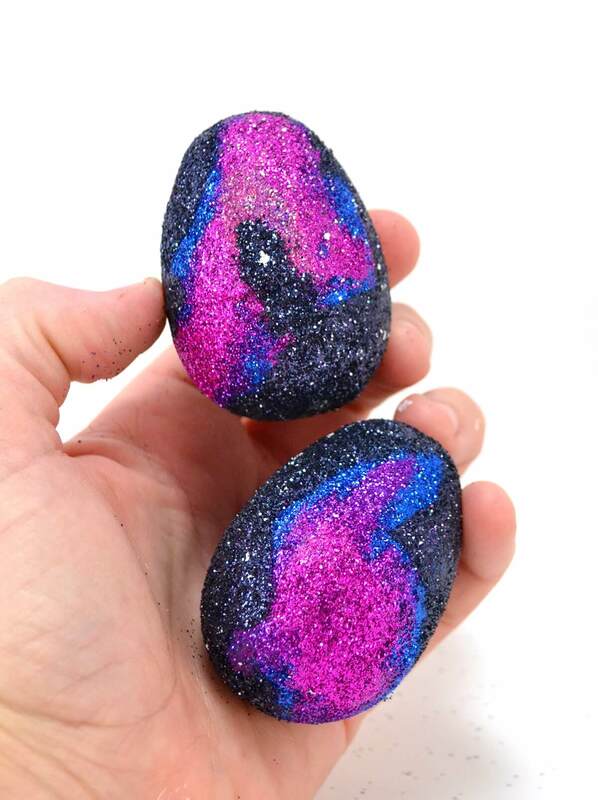 If you're going to have to buy new glitter to rock this you can get by with blue, purple, magenta pink and black. 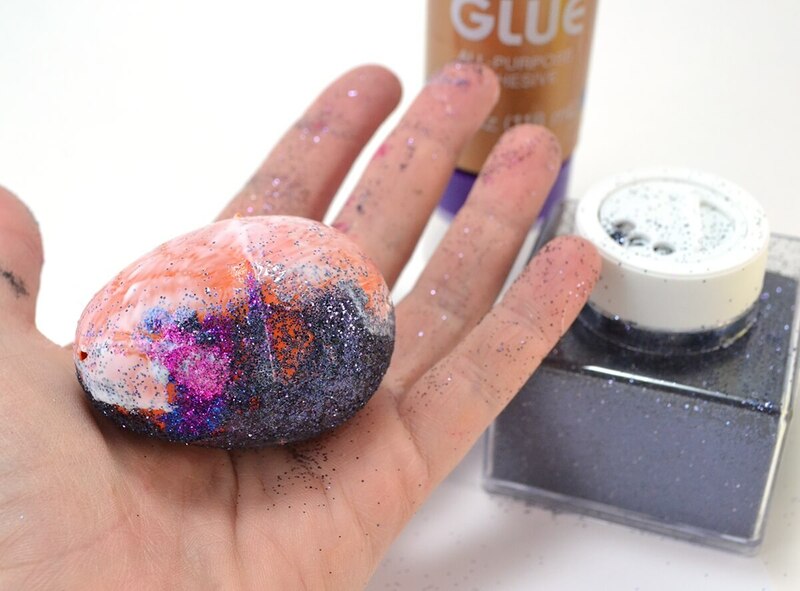 After you've made your initial glue blob, sprinkle that area with blue glitter. Allow to dry. Next is more glue with purple glitter added around the center of the blue blob. 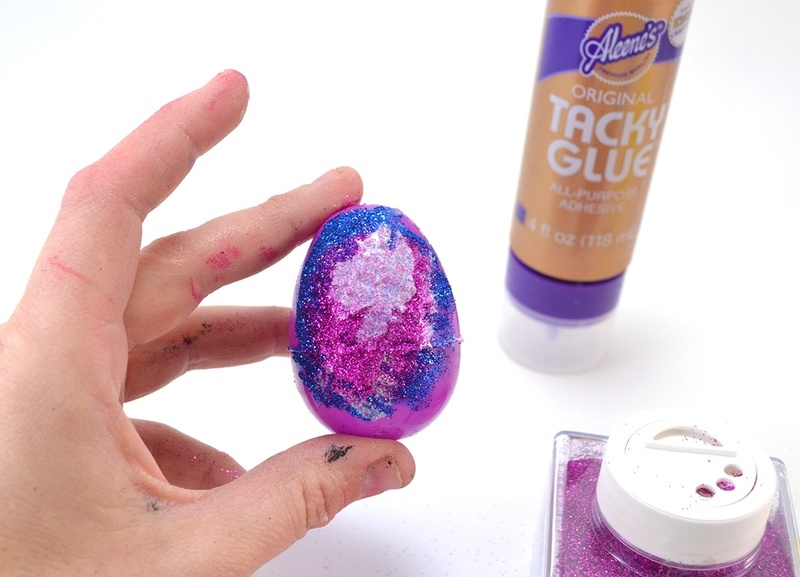 Remember to let the glue and glitter dry between layers. 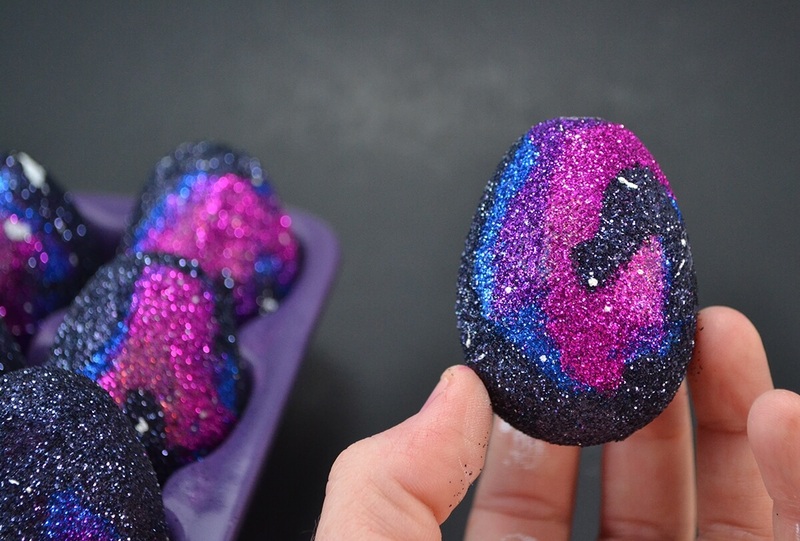 Finish up the glitter by surrounding the galaxy with black glitter all around. 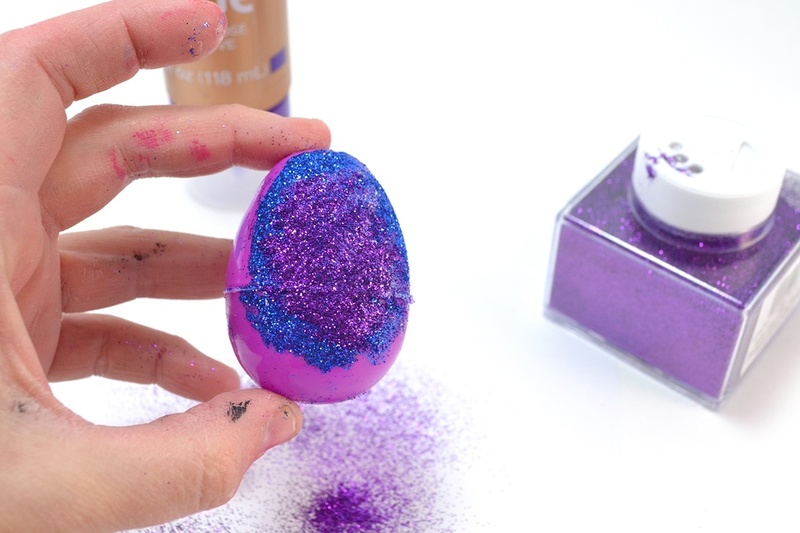 This is a bit messy and you'll probably have to divide each egg into 2 sides to do it neatly. Finish by speckling with white paint by flicking the paint off of a stiff brush. For some paints you'll need to water them down but Tulip Fabric Paint is already the perfect consistency. Allow everything to fully dry and you are done! 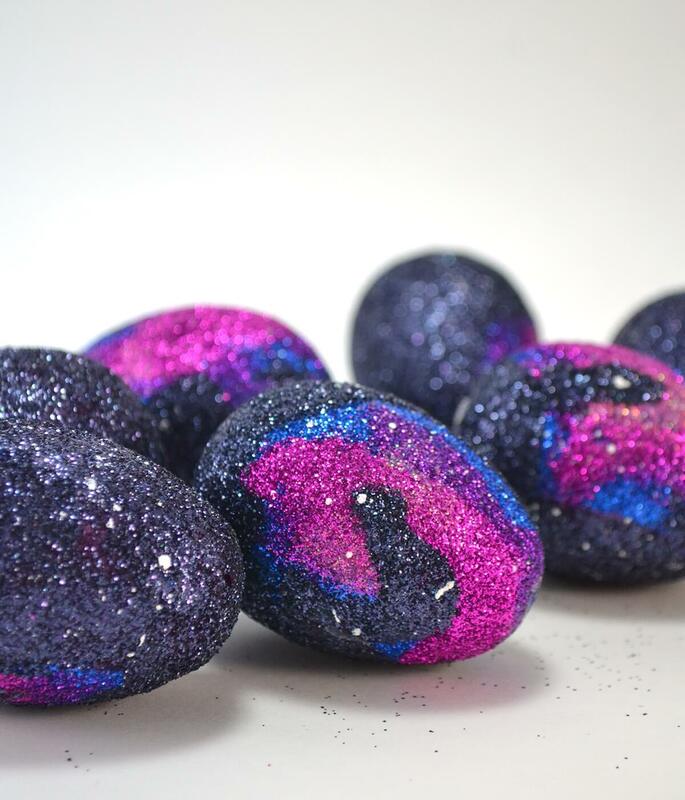 Aren't they glitzy and fab? 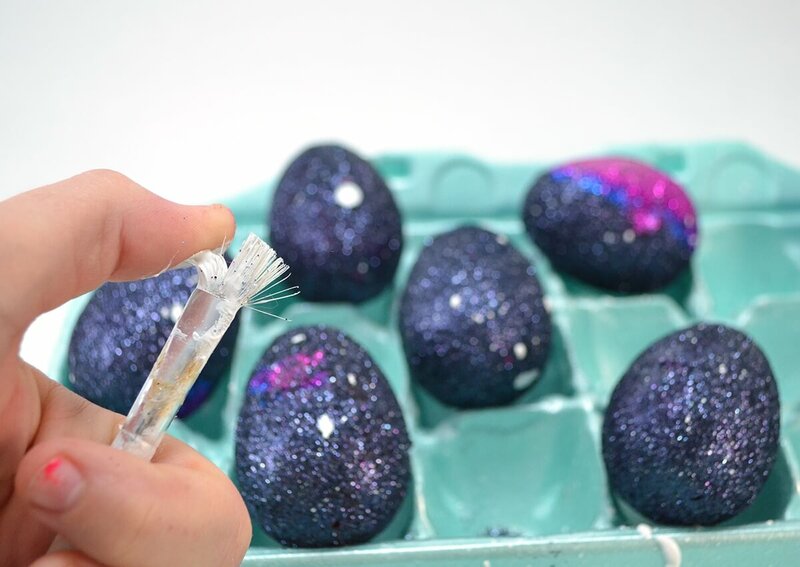 I hope you've enjoyed this stellar galaxy tutorial and be sure to check out my original galaxy eggs tutorial <-- which can help you knock one item off of your 2016 crafty bucket list I shared last month! And if you love this project, here's a fun pinnable graphic for Pinterest!